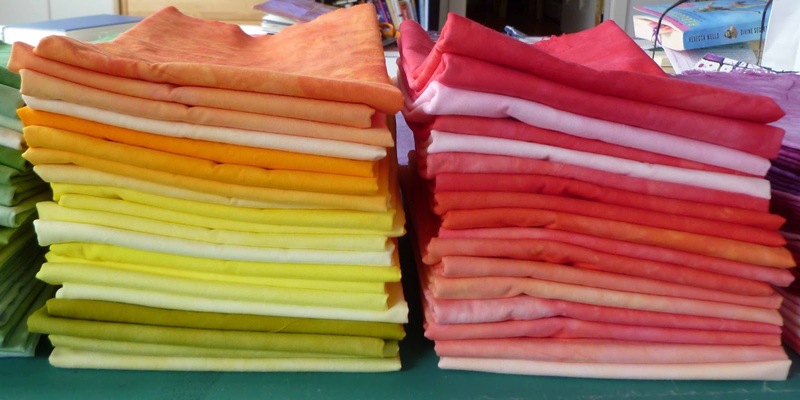 These are the half yard pieces I dyed for the Elizabeth Barton Master Class I am attending this week. Whoa! That's quite a commitment! Have a great time at the class! These are fantastic! I can't wait to see what you do with them! I'm putting a buck down that sometime during the workshop you'll wish for just one more shade of something or other. 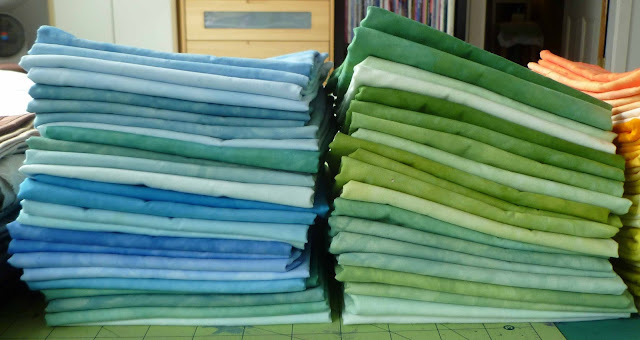 LOL That's a lot of dyeing ... looks like more than 50 yards?? Looking forward to some interesting results. She's a great teacher and what a taskmaster. 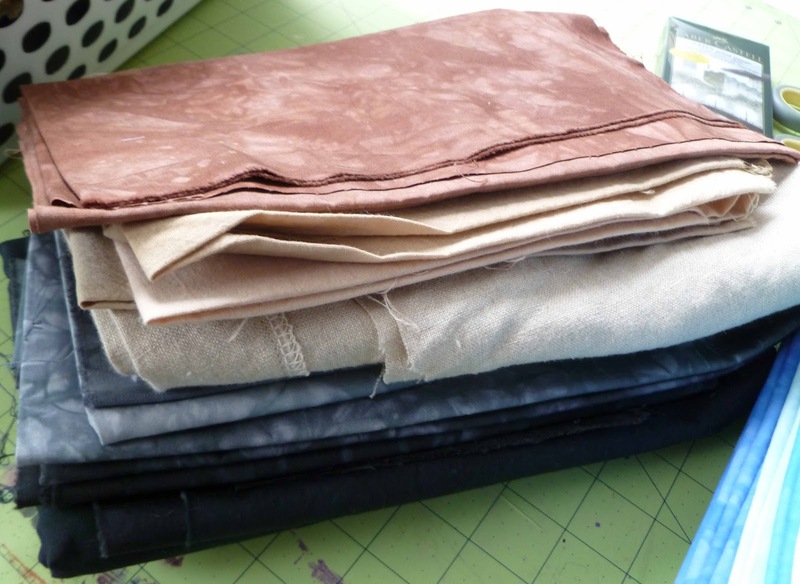 That is a lot of fabrics! Can't wait to see the results of the masterclass. Enjoy!